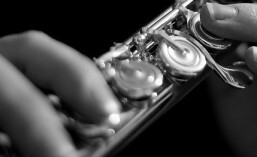 Have you ever had the opportunity to play a piccolo? Could you get a sound out of it? Do you want to be heard over the ranks of flutes in the school band? Yes? Then taking up the piccolo could be the answer. Cathy has played the piccolo for many years in military and community bands and can get you on your way. But be warned good quality piccolos are not cheap!